Kurt Rosenwinkel has always given us music that has conveyed a sense of masterful story-telling and breathtakingly imaginative reach. His significance to the ever-evolving jazz tradition, in fact, transcends the oft-cited lineage of jazz guitar in much the same way that Thelonious Monk and Wayne Shorter impacted colleagues far beyond the scope of their respective instruments. 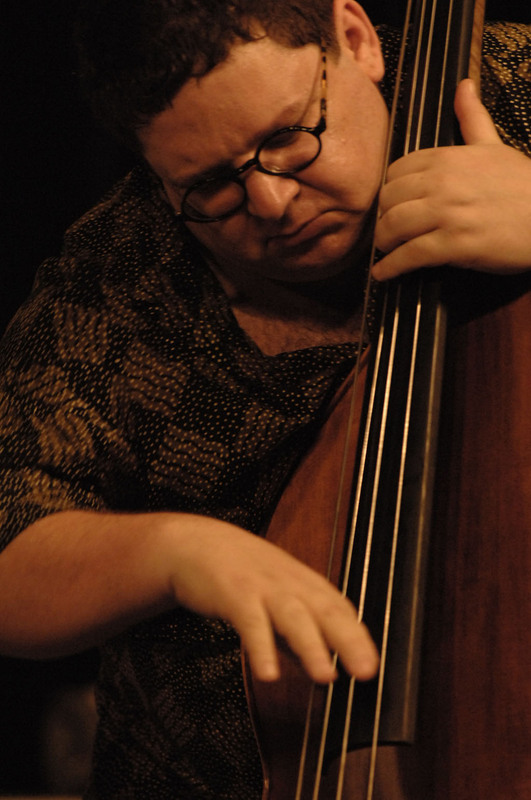 Swedish bassist, cellist, composer and arranger Lars Danielsson is renowned and admired throughout the International jazz world for his lyrical playing and strong groove. Lars Danielsson, born in 1958,he studied classical cello at the conservatory in Gothenburg, before changing to bass and to jazz. The "Lars Danielsson Quartet" with David Liebman, Bobo Stenson and Jon Christensen has received a lot of recognition and numerous awards during the 18 years of its existence. Danielsson has released ten solo-albums since 1980 with his quartet. As Composer, producer and arranger, he has worked with Denmark’s Radio Concert Orchestra as well as the JazzBaltica Ensemble as a composer, arranger and producer. Lars Danielsson has worked with Randy and Michael Brecker, John Scofield, Jack DeJohnette, Mike Stern, Billy Hart, Charles Lloyd, Terri Lyne Carrington and Dave Kikoski. Lars Danielsson has also been a member of the "Trilok Gurtu Group". In 2007, he received commission for several pieces, like with the Gothenburg Symphony Orchestra featuring himself as a soloist together with Leszek Moždžer; with the NDR Big Band and Wolfgang Haffner for the JazzBaltica Festival 2007; and for a project with the Symphony Orchestra in St. Petersburg with Bugge Wesseltoft. The 2008 release of Pasodoble (ACT 9458-2) in Poland was followed by a sales of more than 10,000 CDs and a subsequent Platinum Record Award. In this same year he was a member of the star-studded ensemble on the Vince Mendoza CD “Blauklang” and is nominated for a Grammy. Finnish pianist Iiro Rantala was born in Helsinki in 1970. He studied piano in the jazz department of Sibelius Academy and classical piano at the Manhattan School of Music. 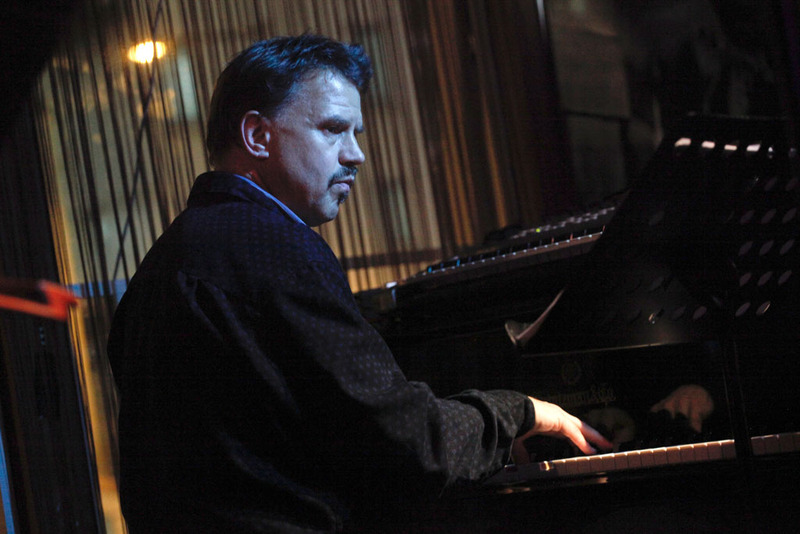 He is one of the best known Finnish jazz pianists, both in Finland and abroad. Rantala is a pianist and composer with Trio Töykeät, a Finnish jazz trio, which was well received when performing in Hong Kong back in 2005. It has performed more than 2000 concerts in 40 countries, before dis-banding in 2008. Iiro has composed some classical pieces, most notably the Concerto for Piano and Concerto in G♯ΔA♭. In 2008, he released the album Elmo with his new formation, the Iiro Rantala New Trio. The members of the trio are Rantala (piano), Marzi Nyman (guitar) and Felix Zenger (beatbox). Iiro also maintained the roles as Artistic director for the Sipoo Kalkkijazz, Dubrovnik Jazz Clubin, and the Kapsäkki Jazz Piano Festival, and the Goodwill ambassador for Finnish Unicef since 1994. Wolfgang Haffner started playing drums and piano at the age of six. After finishing school in 1983 he began his career as a professional musician in the German French Jazz Ensemble, conducted by the Jazz legend Albert Mangelsdorff. Haffner later became the drummer in Klaus Doldingers’s “Passport“, with whom he played for 11 years, touring Europe and South Africa. From 1994 to1995 he was the drummer in the Band of one of the greatest female singers of all times, Chaka Khan. In 1994 he joined the US Fusion Superband “METRO” with Chuck Loeb, Mitch Forman and Anthony Jackson. Haffner worked with many great Jazz Artists including Pat Metheny, Michael & Randy Brecker, Woody Shaw, Roy Hargrove, Johnny Griffin, Cassandra Wilson, Joe Pass, Bob James, Joe Lovano, Clark Terry, McCoy Tyner, Art Farmer, Pee Wee Ellis, Esbjörn Svensson, Joe Sample, Robben Ford... to name a few. In 2002 Haffner formed the Wolfgang Haffner Band which toured in Europe featuring music of his earlier albums “Music“ & “Urban Life“. When not performing with his own Band he plays with the Nils Landgren Funk Unit, and with Till Brönner. Haffner has played on about 400 Recordings, including ten albums under his own name. Gaoyang Lientered Middle School Affiliated to the National Academy of Chinese Theatre Arts and was major in MIDI Arranger. Basically classic sax-centric and backed by a fusion guitar, modern and very melodic bass playing and rock-steady yet colourful druming, this Melbourne based quartet has been presenting us with their thoroughly enjoyable version of jazz/fusion/world music since their inception in 1999. The compositions of Glenn Cannon and Tim Wilson stem from diverse musical influences, including jazz, drum ‘n’ bass, Latin, classical, folk and pop music. 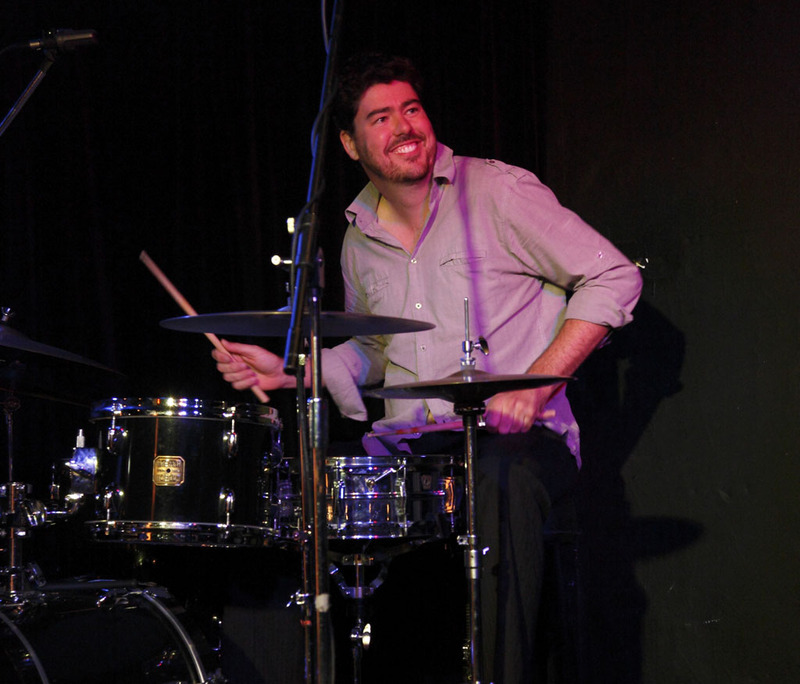 This ensemble has supported international acts such as The Yellowjackets, and has performed throughout Australia and South East Asia at major jazz festivals including the Java Jazz Festival (Indonesia), Mosaic Music Festival (Singapore), Melbourne International Festival of Jazz, Electric Jazz Festival and the Ultimate Drummers’ Weekend. Between them, they have toured, performed and recorded with various artists and ensembles including Ray Charles, Incognito, Jerry Lewis, Hugh Jackman, Michael Bublé, James Morrison, Melbourne Symphony Orchestra, Olivia Newton John, Human Nature, Mike Nock, and Bobby Shew. Maria João expresses lifetime stories, her roots and her passion for jazz by singing, inviting audiences to experience vivid and joyful rhythms combined with romantic melodies. She is known for her vocal flexibility and improvisational skills. Her music incorporates an eclectic mix of folk/ethnic music, modern jazz, and the avant-garde, amazingly transforming delicate musical structures into tones, words and whispers. Maria João & Mário Laginha met in 1983, made their first record and have since performed hundreds of concerts in Portugal and abroad and made more than 10 excellent records together playing, fundamentally, the music that they like and want to do, often revealing the cultural influences of the countries where they have been playing in – India, Africa, Brazil. In 2008, they regrouped to make their commemorative album “Chocolate” of their 25-year career with a set of standards and original songs. Fused with strong exotic origins percussion with abundant funk, alternative and post Jazz idioms, maRK is an upcoming jazz quartet with all-local-Hong-Kongers line up which are in demand composers, arrangers and sound engineer in the Hong Kong music scene. Members of the group are also featured in numerous jazz festivals around the world including TEDxBoston, Beantown Jazz Festival(Boston, USA), HONK Festival (NewYork, USA), Vancouver Jazz Festival, Island Folk Festival, Hong Kong Arts Festival, Beishan International Jazz Festival, Taichung International Jazz Festival, Hong Kong International Jazz Festival to name a few. Established in 2007, The McCadden Place Collective is a pool of funk cats that plays anything from standards to groove jazz. The members each spot an impressive resume and carries at least a decade of experience performing in all imaginable situations. Mdungu is a nine-piece band based in Amsterdam. The musicians come from Holland, Luxembourg, Spain and Gambia, perform their music with skill, flair and energy that is irresistible to any audience. African music by Mdungu is a strong musical experience: it funks, it grooves, it moves your feet and feeds your soul. The percussion is dazzling, the melodies enchanting and the vocals, captivating, creating a chemical reaction that makes people start dancing and romancing. Mdungu was founded in 2003 by alto saxophonist Thijs van Milligen. From the start Mdungu was a most welcome guest on international stages and festivals of world music, pop and jazz scenes. After the release of their debut album in 2009, they toured intensively in Holland and abroad. Pianist, composer and arranger Michel Bisceglia is one of the most important and most vigorous musicians from Belgium. In 1996, at the age 26, he started his current trio that on their CD “About Stories” (RCA Victor) had the privilege to work with Randy Brecker and Bob Mintzer. Since 1997, he’s recorded only three CD's with his trio but has played in world-famous jazz festivals such as the Rochester International Jazzfestival (USA), the Guimaraes Jazz Festival (Portugal) with Dewey Redman and the Ulverston Music Festival in UK. The three CD’s are one after the other masterpieces; exercises in subtilized meditations on intangible melodies. A typical characteristic of Michel Bisceglia is his working with artists outside the jazz world. In a coproduction with DJ Buscemi a new album was recorded with live ensemble. This album was released in September 2008 on Blue Note Records. The Japanese title means "Journey to the West", which in this case indicates a journey. The resulting music changes its cultural centre of gravity; sometimes it's north India, sometimes it links Japan and San Francisco. A truly egalitarian grouping, their music is co-composed by all three players who dip into the wellsprings of their individual cultures to create a repertoire that's transcendent in its beauty and cultural cross-pollination, supporting the old adage of music as the international language. For over twenty years, Nguyên Lê has collaborated with a growing cadre of like-minded musicians—mostly Paris-based, where the guitarist of Vietnamese origins resides—building a body of work that is, in the truest sense of the word, "world music." Lê has carved out a unique space—often fusion-like in its electricity and energy, but avoiding the negative connotations; undeniably jazz-centric, too, but largely avoiding overt references to traditionalism. Ntjam Rosie has style, great looks and is a gifted musician, singer, songwriter and producer. The 29 year old Ntjam Rose emphasizes: “I am an artist. I dig into my cultures and make art from them.” It is the ‘right here, right now’ quality of her compositions that makes her music so exciting. She does not indulge in retro elements but simply roots in them. Her songs are an enticing mix of lyrics, style, and music. Ntjam Rosie lives in Rotterdam now. She was born in the village Sonkoe in the South of Cameroon. Ntjam Rosie grew up dancing and singing to pop music in her spare time. After high school she studied at the Codarts academy of music in Rotterdam. Ntjam Rosie has her own record label Gentle Daze Records and works hard for it. As promoting her own record, Ntjam has toured several countries in the past, among them Thailand, Turkey, Estonia and China and earned her a prestigious Edison nomination. “The critics have been fabulous.” Ntjam Rosie is regularly invited to perform for DWDD on Dutch TV and has been on BBC 1 radio and an extensive Club Tour and has played at the North Sea Jazz Festival. The project was formed in 2014 after Pasquale Stafano’s meeting Naomi Yu in Taipei. The group’s materials are inspired mainly by the seductive Chinese and Italian folklore and traditional music. Pasquale Stafano, pianist, composer and arranger was awarded the Piano Academic Degree at "U. Giordano" Music Conservatory of Foggia (Italy) in 1994 and the Jazz Academic Degree at “U. Giordano” Music Conservatory in 2000. Following his passion for jazz music, he attended the "Specialization Jazz Course” “CPM” Siena Jazz” held by the pianist Mauro Grossi and "Pescara Jazz Master Class” held by the pianist and composer Brandon McCune, teacher of Columbia Jazz College of Chicago in 1999. He participated at several national and international competitions, of contemporary and jazz music, achieving first prizes. He collaborated and collaborates currently with important and famous jazz musicians like: Javier Girotto, Gabriele Mirabassi, Fabrizio Bosso, Max Ionata, Gustavo Toker, Michele Rabbia, Daniel Humair, and others. Beyond his jazz studies, he has a passion for the south America music, in particular for the argentinian tango music and founded the trio "Nuevo Tango Ensamble" in 1999. With this project he performs all around the world in prestigious theaters, Festivals and Jazz Clubs in Rome, Turin, Paris, Vienna, Warsaw, Seoul and Taipei and many others. He has released CDs like "Astor's Mood", "A night in Vienna for Astor Piazzolla", “D’impulso” and others recording with Gabriele Mirabassi, Javier Girotto and others. In December 2014 he arranged two composition and recorded it with Nuevo Tango Ensamble for Korean Movie “Chronicle of a blood merchant”. He participated in several national and international competitions, of contemporary, chamber music and jazz music, achieving first prizes every time. He is also a lecturer in piano jazz and classical, composition and arrangement in several Public and Private High Schools. Born in Taipei, Naomi sang in church choir where she was immersed in gospel music. After hearing jazz in the movie soundtracks, she began to develop an appreciation for it at an early age. She studied Applied English at Southern Taiwan University of Technology in Taiwan and studied French at CIDEF of UCO (Université Catholique de l'Ouest) in France. Her curiosity and love for music led her to explore the abundance of Jazz recordings and she started singing professionally at age 27. Since then she has been performing at many functions and events, and currently participates in various projects, with many talented musicians in Taiwan and from aboard. Founder and director of the Penang Island International Jazz Festival. Paul has been involvedin various fields of the Entertainment business for more than 30 years. In 1996, Paul, together with Ms Chin Choo Yuen established The Capricorn Connection - an Event & Venue Management Company managing and coordinating a wide range of events. 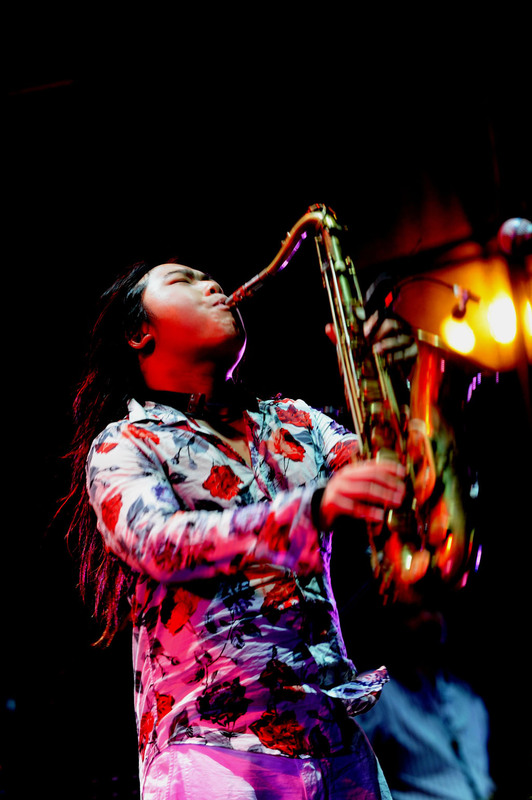 The conceptualization of the idea of a Festival on an island began in 1996 and eight years after thatin 2004, the dream of the Festival was realized with the start of The Penang Island Jazz Festival. He is a Founder member of the Asian Jazz Festival Organisation and has acted as Advisor for anumber of Events and Festivals throughout Malaysia.